A recent Toronto editorial suggested that Ontario's weather is getting weirder. Here at Shipton's Heating and Cooling, we agree! It is getting harder and harder to predict what type of weather to expect from day to day, let alone week to week. This also makes it harder to decide when to schedule HVAC maintenance, how to set the thermostat, and whether the humidity on any given day will be too moist or too dry to stay healthy. As we consult with home and commercial builders, homeowners and business owners, we realize our climate change and weather concerns are definitely shared. How do you control your energy budget when every day's weather is different? 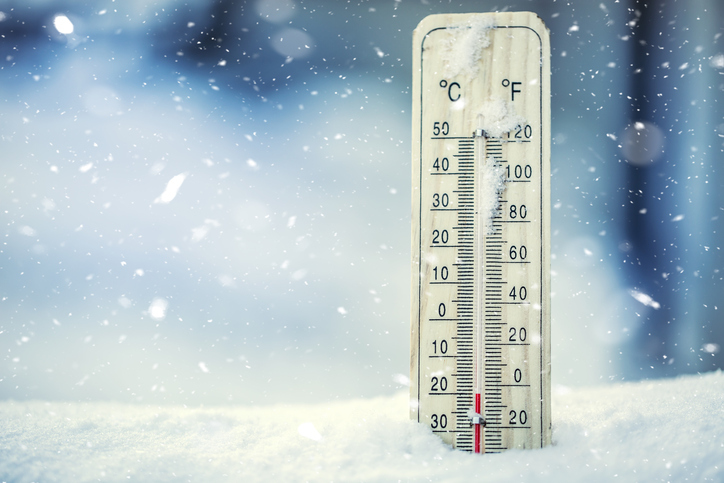 What can you do to protect the significant investment you've made into your air conditioning and heating appliances when one day brings howling winds and the next ushers in heavy snowfall? That is what we are going to talk about in this post! HVAC systems come in all shapes and sizes…and ages. Some of the older models were not built with programmable thermostats. Some of these models can be retrofitted with aftermarket programmable thermostats and some cannot. If you have an older HVAC system and you think it might be compatible with an aftermarket programmable thermostat, we encourage you to give us a call for a consultation. In this era of unpredictable weather, having the ability to tell your furnace and air conditioner what to do is a critical component of controlling your energy expenses each month. The alternative is taking the day-to-day risk of heating or cooling an empty space, and this is a pricey risk to take! If your air conditioner is more than 10 years old and/or your furnace is more than 15 years old, it may be time to consider the financial feasibility of upgrading your HVAC system. The U.S. Department of Energy strongly recommends system upgrades around these age benchmarks to save money as well as reduce your carbon footprint. You now have a programmable thermostat to control costs based on your family’s schedule or workplace hours. Your system will be Energy Star-certified to do more work with less energy draw: your new air conditioner will trim up to 20 percent off your annual cooling costs and your new furnace will trim up to 15 percent off the same (if you opt for a heating boiler, you will still trim up to 5 percent on your annual energy costs). You gain access to the highest grade of air filtration technology to keep potent allergens and toxins out of your indoor air supply. You no longer run the risk of major repairs or outages from an outdated, overworked HVAC system. Your new HVAC system will be properly installed to ensure maximum energy savings and the quietest operation. No Central HVAC System? No Problem! We realize that not every home or office space is equipped with a central, ducted HVAC system connected to a programmable thermostat. And in fact, a central system isn’t always the best choice, depending on the size of the space and how the rooms are divided. Today, heating and cooling technology has come a long way from central or nothing. If you haven’t been keeping tabs on the latest developments in zone cooling and heating, you are in for a treat! For instance, one of our favorite high-efficiency heating options today is the Cozy direct vent wall furnace. As this blog post explains, the Cozy furnace features a programmable thermostat, natural gas or propane energy options to keep you warm even during electricity outages, a compact and space-saving design, and the option of zone heating to warm even large spaces efficiently. Radiant heating is another option that doesn’t require installation and upkeep of a duct-based HVAC system. With radiant heating, you get nearly 100 percent energy efficiency and no wasted heat. Radiant heating doesn't use blown air at all—rather, it uses infrared (electromagnetic) radiation to warm nearby items that are at a lower temperature than its thermostat reads. A heating boiler is another type of radiant heat system that uses heated water to distribute heat through baseboards, radiators, or radiant flooring. The new gas heating boiler systems are very efficient at distributing heat with much less waste. If you have a small open space or you only use one area of your home during the cold season, a gas fireplace is yet another great way to stay warm and save money. A gas fireplace can be a perfect choice in those hard-to-heat spaces, plus it will still work if the electricity goes out! Another heating option that is becoming increasingly popular in homes and workplaces today is targeted heating using a combination approach. For example, you may have a business that includes a central administrative office and one or more external warehouses or workspaces. Perhaps a zoned direct vent wall heater system is the perfect choice for targeted heat (and cost) control in your office, and an infrared radiant heating system is the ideal choice for your warehouse/workspace. By judiciously selecting the right system for the space in need of heat, you can control costs further to ensure you are making the best use of energy for the lowest cost. Here at Shipton's Heating & Cooling, we have nearly a century of expertise designing and installing custom HVAC solutions for residential and commercial spaces. Right now, save up to $3,000 on the purchase of a combination air conditioning and furnace system! Contact us online, or give us a call at 905-549-4616 to reserve your discount today!